Offers variety of Indian and International cuisines: Indian, Italian, Chinese, Continental, Mexican. Our experienced team is always at your service for all your travel needs. They guide you well so that your experience at Jaipur is always cherished. You can enjoy the delicacies of our chefs while relaxing in your own room. Hotel is centrally located in the city centre. 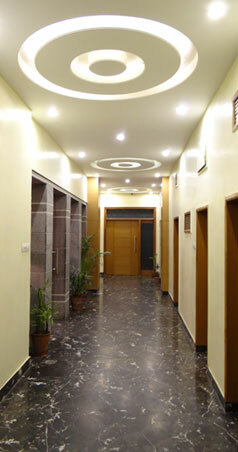 Its close proximity to Rly Station, Busstand, Market area make it a happening place to stay. 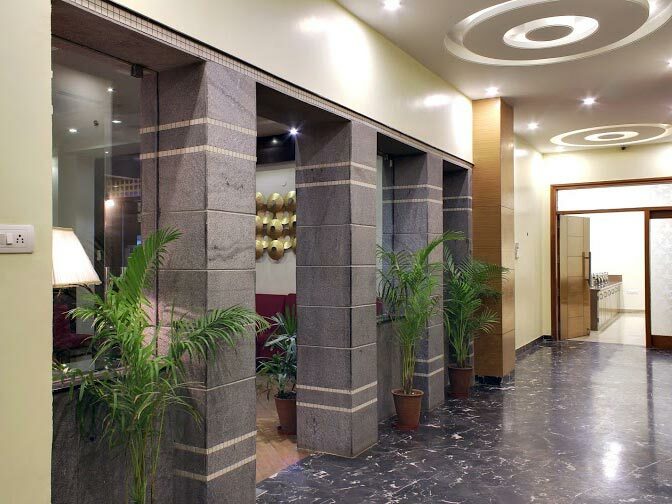 Hotel Natraj is one of the city’s top budget range luxury hotel, conveniently located in the city’s central prime location- both a commercial and market area, only a walking distance from Rly Station, bus stand and 20 min drive from Airport. As the brand evolves, our vision is centered on quality of facilities and services, “beginning with guest in mind”. Our focus is to develop satisfied guests who will return to stay at our hotel because of warm hospitality and quality of services offered at value price. 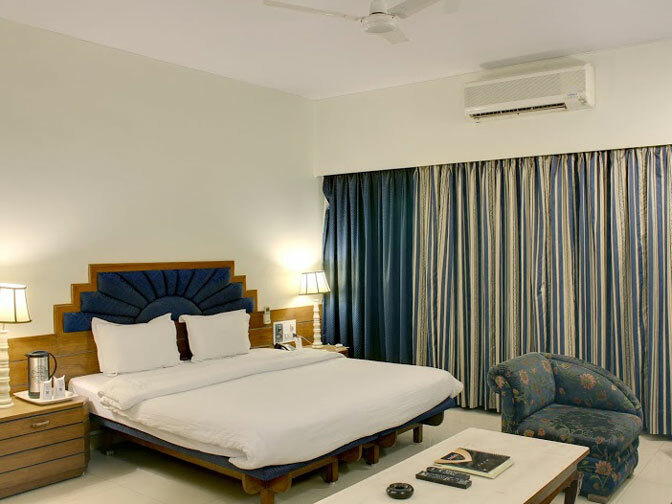 Each of Natraj’s elegant 30 guest rooms are air-conditioned and feature modern design. Luxurious amenities include state of art technology and a free WIFI internet connection. Executive Deluxe rooms are spacious and provide additional luxury and exclusivity. “Topaz” Multi cuisine restaurant offers a variety of Indian and international cuisines: Indian, Chinese, Italian, Continental and Mexican: a menu to suit every palate. Hotel’s central location between the famous walled Pink City, an old town and the new town means that guests are never far away from great shopping, fascinating museums and architectural & cultural gems of the city. Business facility at hotel includes a conference hall suitable for organizing social and business events. No refund/reimbursement will be made for the un-utilized meal. Cancellations will be accepted 48 hours prior the check-in in case of FITs and 10 days in case of GITs. 2 Children upto age 5 stays free sharing same bed and older ones shall be charged as extra person charges mentioned above.